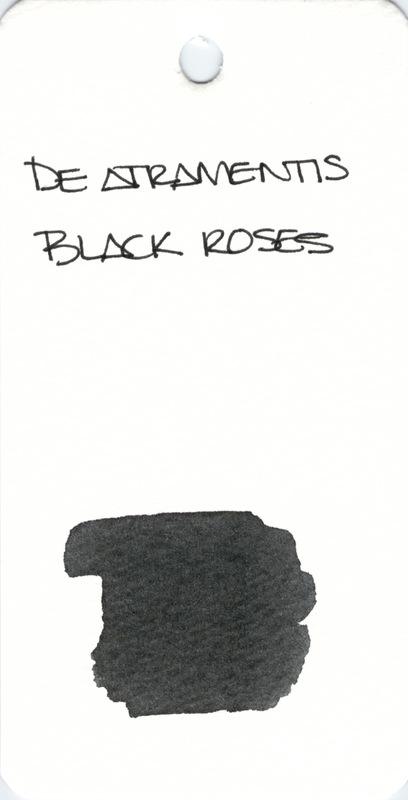 More of a dark gray than black, De Atramentis Black Roses will never be my favorite – if only because of the scent. It kinda makes me shiver just thinking about it again. This entry was posted in INKS and tagged black, de atramentis, ink swab by Christine (Pentulant). Bookmark the permalink.